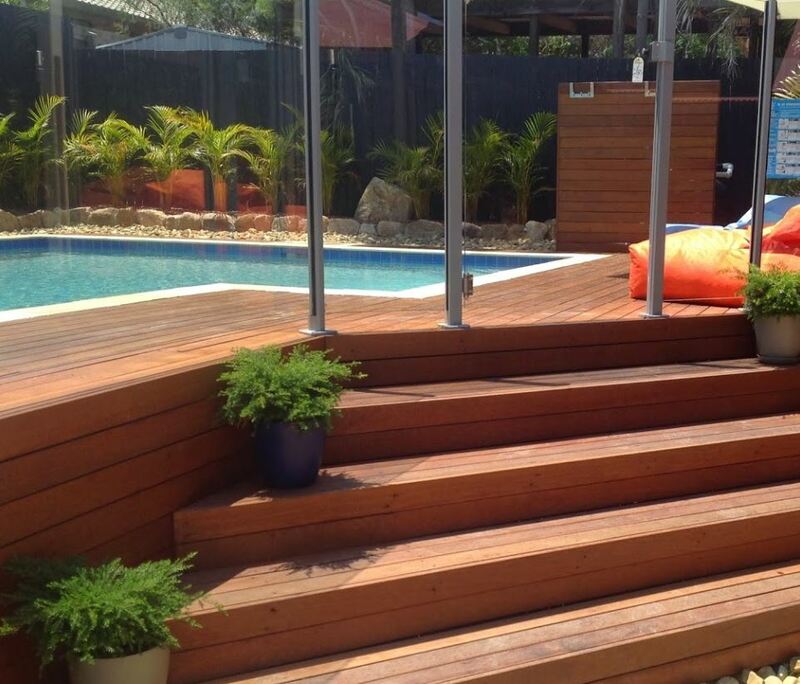 All We Do Is Decks are decking specialists and we build stunning, quality yet affordable pool decks in Brisbane. We can design a pool deck for you, organise Council approval and then construct the pool deck, bringing your and our design ideas to life. 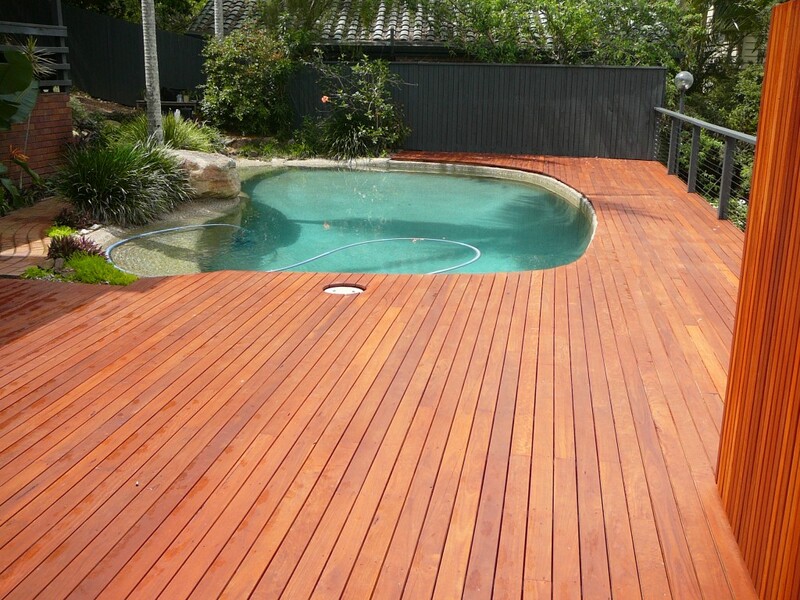 As we are experienced pool deck builders we can advise you on the different types of pool decking timbers that are available, the cost and advantages and disadvantages of each. A well built and designed pool deck can transform your pool entertainment area and add value to your home. We build above ground pool decks as well as pool decks for inground pools. There are several reasons why we can build for you the same deck, with the same design, same materials at a rate that is more affordable than our competitors – and also with a high level of workmanship. Firstly we are a family owned building company. We do not have the large overheads that our larger competitors do and we pass this saving on to our customers. Thus we retain a reasonable profit margin but because our costs are lower, and you as the customer are charged a lower rate. Secondly we specialise in deck building, thus we are able to work more efficiently as we have extensive experience in deck building and pool deck building. This means we can get the deck built for you quicker, thus there are less labour hours that you will need to pay for. Never think just because our quote is lower that you will obtain a sub-standard service and sub-standard carpentry and construction. 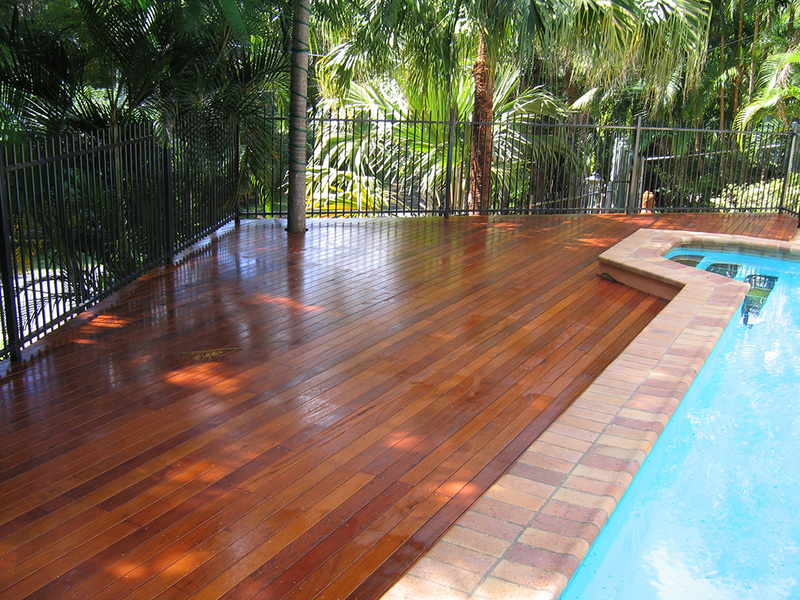 All We Do Is Decks are highly skilled and experienced and provide excellent workmanship. 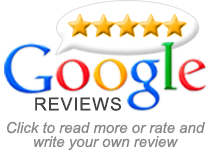 Please read the reviews written by our customers who attest to our excellence in design, construction, price and service. A really good pool deck design takes into account the design and appearance of your home; ease of access to your pool; site constraints; the aspect of your pool; additional features that you may want to include; and your budget and preferences. We will work with you to ensure that you get the best possible pool design being aesthetically pleasing, durable and functional. If you need expert yet affordable help to design and build a pool deck for you, please contact us on 0412 896 744 and we can advise you on the best pool design to complement your pool area, and to take in account your needs and your budget. Holland Park, Brisbane, Queensland All We Do Is Decks © 2015. ABN - 27 109 668 297 License - 1056330 All Rights Reserved.